began her dance training at the Marcia Hyland Dance Center at age three, is a member of our Dance Company, and has continued in the tradition of her mother, Gerry Barney, joining our teaching staff because she loves it! She is that rare teacher who knows exactly how to motivate a young dancer with such sincerity and love. No wonder her students adore her! 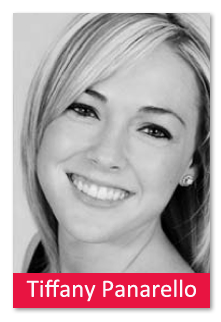 Tiffany says, “Your first steps are always the most important,” and has developed her very own personal style of teaching that makes dance easier to understand and more enjoyable to learn. In fact, she feels that children thrive on involvement in activities that make them feel special. “They are starting to define themselves as individuals at this early age. My job is to excite the creative interests in the young student!” Tiffany received her Master’s Degree in Criminal Justice, and is now a Family Service Specialist for the Department of Child Protection and Permanency. Tiffany and husband, Dan, are experiencing the joys of life with 4-year-old Dominic — and 1 1/2 year-old Skylar, who loves practicing her ballet positions!